After you dropped your kid off at college, you might be returning to an empty house. Although you have been preparing for this day for over 18 years it still may come as a shock at how quiet things suddenly are. There’s nothing wrong with being a little bit depressed about missing your child. Thankfully, you can stay in touch with them through Skype and FaceTime so you can see exactly how they’re getting along. But now you have some time in your hand you get to refocus your attention back on your house. This doesn’t mean you have to totally make over your home but instead you should get things organized. That starts with sorting through all your clutter. How many closets do you have in your home? Your mission is to pull out every single item from every one of those closets. If it is an article of clothing, then try it on to see if it still fits. If it doesn’t or it is totally out of style, then it should be put into a pile to toss out. You’ll likely discover a lot of other things that you don’t plan on wearing again like coats, sweaters, shoes and hats. They could also be a big pile of sporting equipment, games, gadgets and other things that are either broken or worn out. Getting rid of that clutter can open up a lot of space in those closets. The good thing is it doesn’t have to go to waste when you hire Junk King Orange County to pick it all up. These are professional junk haulers who would much rather go to a charity then I’d landfill to drop off your junk. You don’t even have to identify things you want to be donated. Junk King will pull them out of the pile automatically. The next big area to organize would be your garage. You could have things packed away there that you forgot you owned! They could also be a lot of keepsakes that you would like to put on display. Then there are the big things that were put into the garage simply to get out of the way. 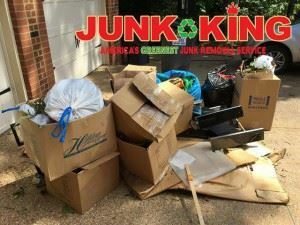 Junk King Orange County can pick up old futons, exercise equipment, sofas and any other household goods you want to toss out. To organize your home, sort through everything and then hire Junk King Orange County to haul away the clutter. Perfection! This entry was posted in junk removal and tagged college, empty nest, junk, organize your home, rubbish on August 31, 2017 by Junk King. Last updated August 31, 2017 .